RRB NTPC notification 2019: The Indian Railways will be releasing the official notification for 1.3 lakh vacancies soon on the Employment News. 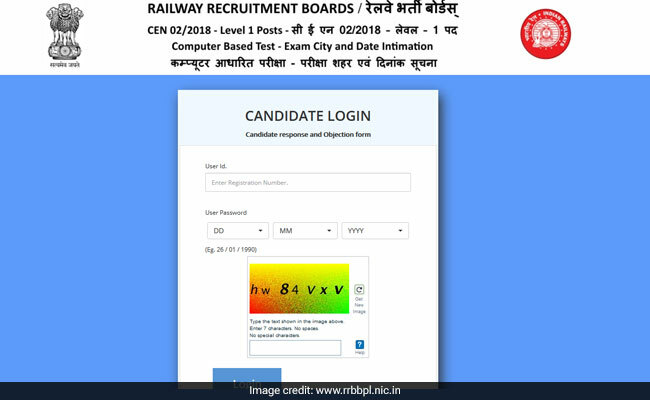 RRB NTPC notification: The Railway Recruitment Board of Indian Railways will be releasing the official notification for 1.3 lakh vacancies soon on the Employment News. When asked about an unofficial RRB NTPC notification being circulated in social media, an official from the Railway Recruitment Board told NDTV that the Board has not released such a notification either to the press or to the public. The RRB NTPC notification in question has detailed information about a 1.3 lakh recruitment by Indian Railways with important dates, vacancies, reservation and eligibility criteria. Before this, the Railways had released RRB NTPC notification for more than 18,000 vacancies in 2015. On Monday, the official from Indian Railways has confirmed that the RRB or Railway Recruitment Board, the official hiring agency of the national transporter, will be releasing an indicative notice regarding more than 1.3 lakh jobs in various posts. "The alleged notification is not released by the Board. We have plans to release one indicative notice soon on the Employment News to be released on February 23," the official told NDTV. "This 'RRB NTPC notification' which is being circulated currently on social media can be a draft prepared by the ministry," added the official. "We are working on the notifications. Preparative works for the notification is taking a lot of time. Right now, we have to calculate exact vacancies in various departments and also have to apply the reservations rules, especially the newly announced EWS reservation," the RRB official had said earlier. After accounting for the current vacancies available with the Indian Railways, country's largest employer, will recruit 2,30,000 employees over next two years, Union Railways ministry had said last month. The Ministry had also said these vacancies have been proposed to be filled over the next two years in two phases. The first phase of fresh recruitment of 1,31,328 posts shall be initiated in the month of February-March, 2019, it had said then. Currently, RRBs and other recruitment agencies affiliated with the national transporter are engaged in a hiring spree of 1,51,548 vacancies which includes RRB Group D, RRB ALP, RRB JE and recruitment to the Railway Police. Presently, according to the Ministry, Indian Railways has a sanctioned strength of 15,06,598 employees. The remaining 2,82,976 are vacant posts. Recruitment for 1,51,548 posts is going on, leaving 1,31,428 posts still vacant. Further, the statement said, it may also be noted that approximately 53,000 and 46,000 railway employees shall retire in 2019-20 and 2020-21 respectively, causing an additional vacancy of approximately 99,000 employees.